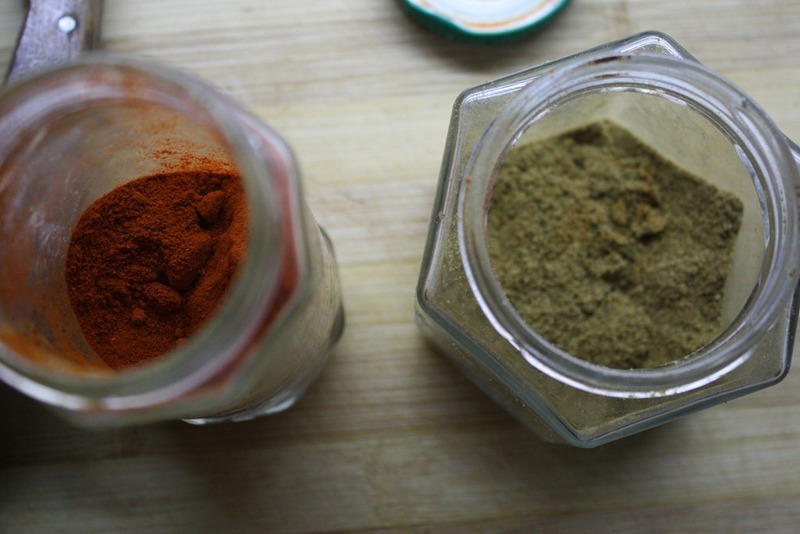 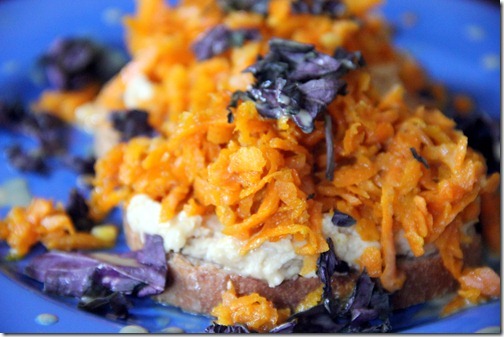 The color is enough to make this recipe something to get excited about. 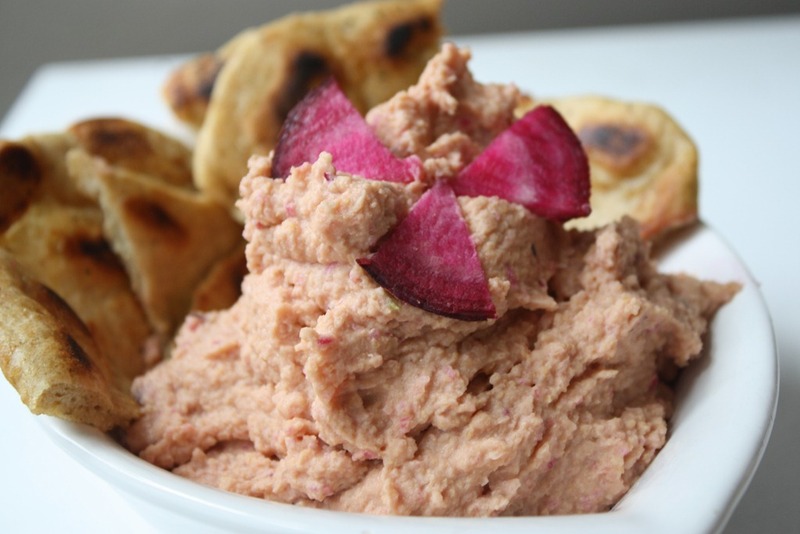 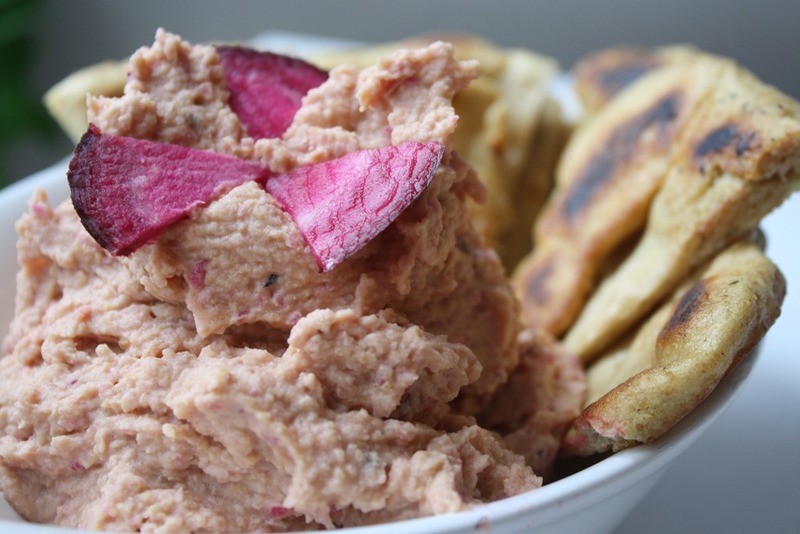 Sure, plain hummus never gets old, but sometimes it’s fun to jooj things up a bit in the kitchen and bring some personality to old-time favorites. 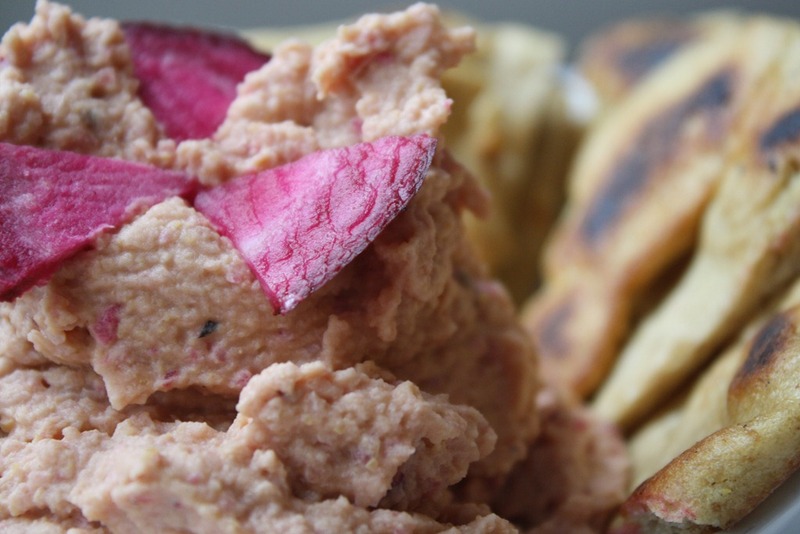 This recipe brings an earthy flavor to regular hummus and some sass to an ordinarily blah, neutral tone. 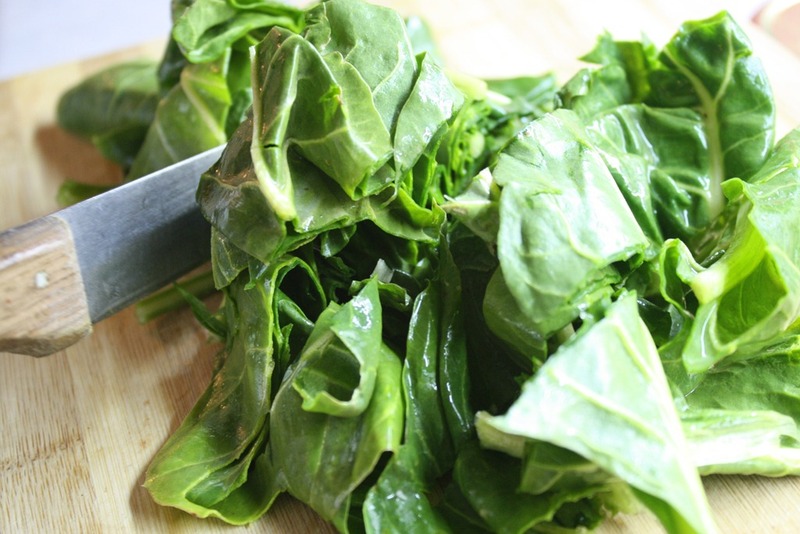 Beets: contain folic acid necessary for the production and maintenance of new cells, which benefits pregnant women and those undergoing physical healing, guard against colon cancer, protect against heart disease, are high in sodium, magnesium, calcium, iron, and phosphorous, are available all year round, contain cancer-fighting pigment betacynin, cleanse the blood, strengthen the gall bladder and liver, and can be used to treat acne. 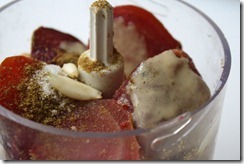 Roast half a beet wrapped in aluminum foil in a 400 degree Fahrenheit oven for approximately 20 minutes or until tender. 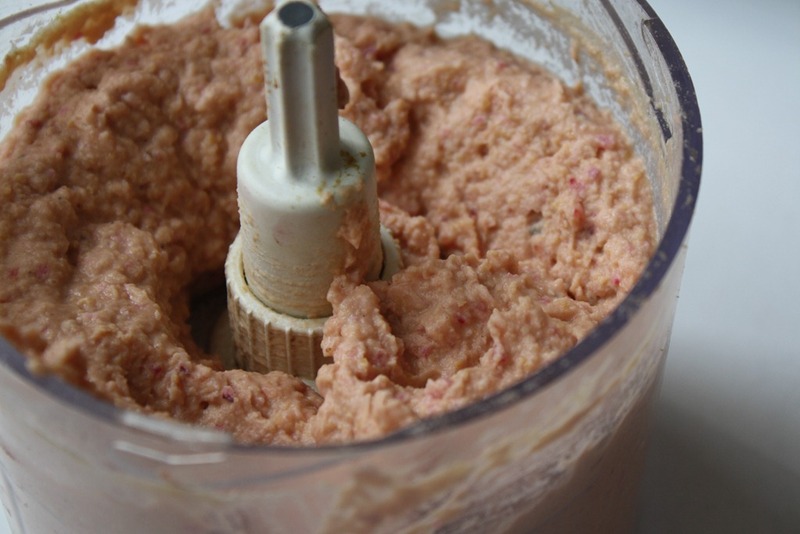 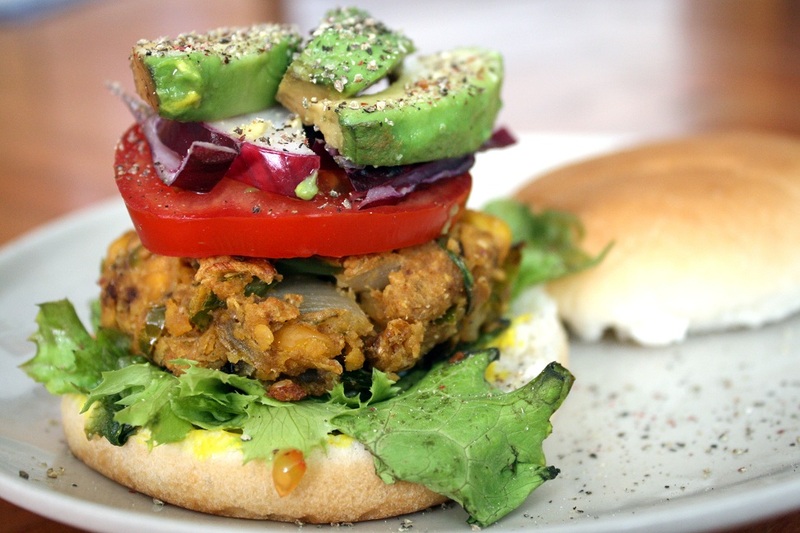 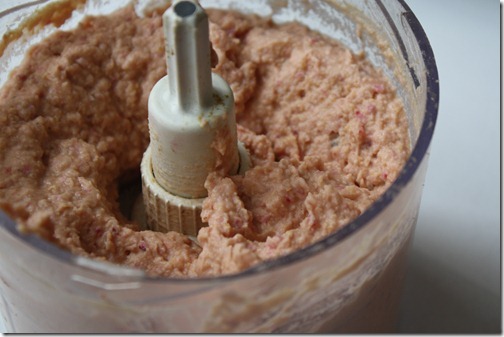 Let cool before putting it into the food processor with the rest of the ingredients. 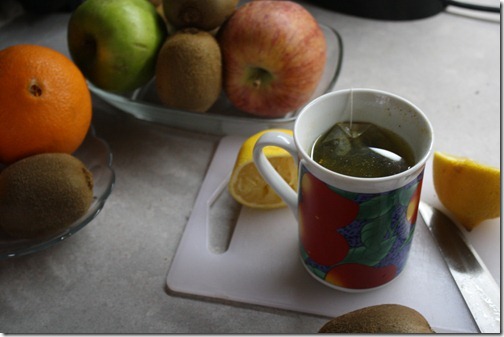 Blend all until smooth. 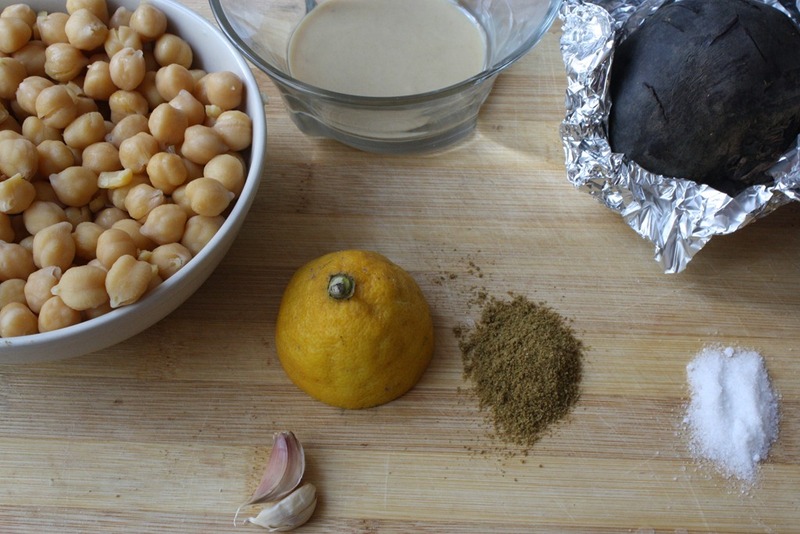 You may have to add 2-3 tbsp of lukewarm water to help things smoothen out, but this depends on the juiciness of the beet, lemon and chickpeas. 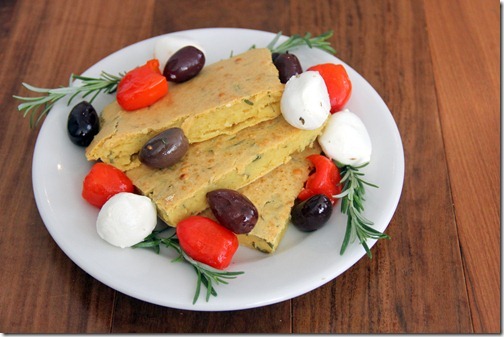 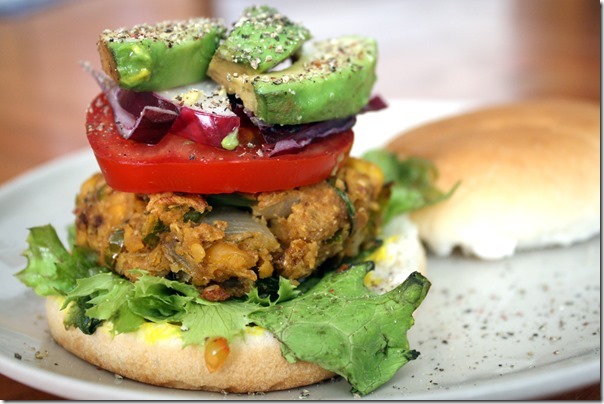 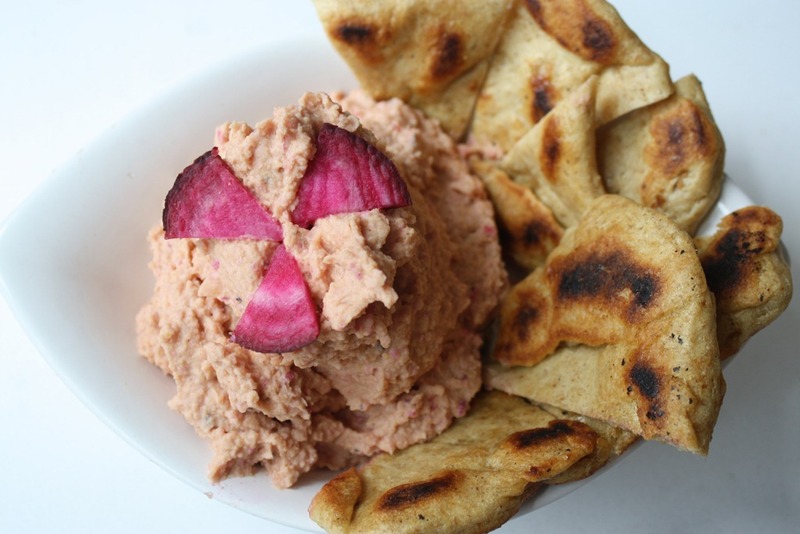 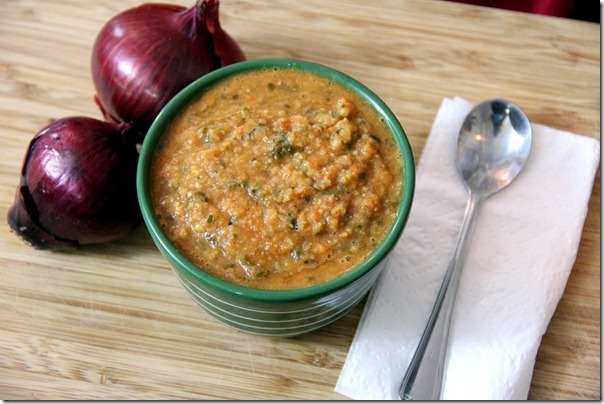 Serve with toasted or grilled pita bread. 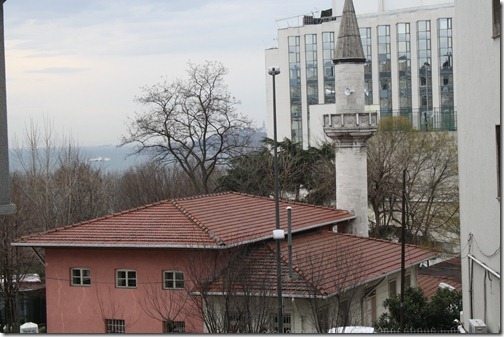 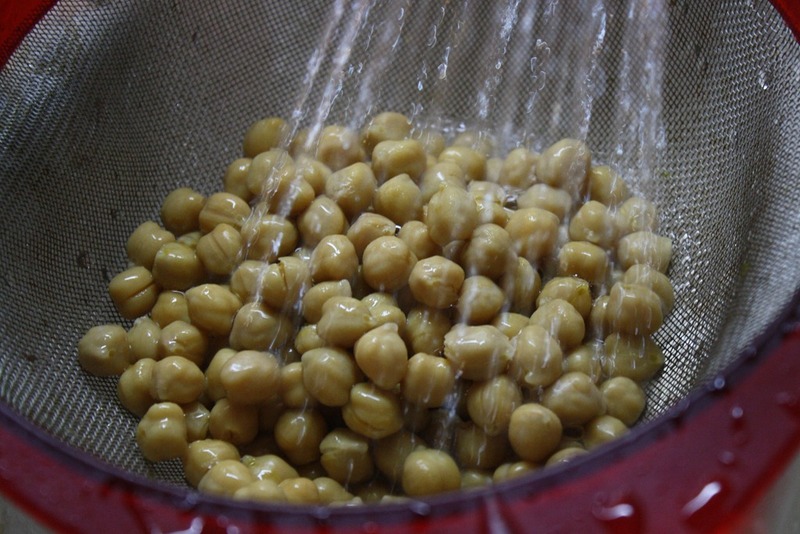 Rainy days in the Middle East inspire a different kind of comfort. 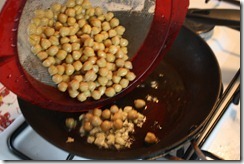 The comfort of garbanzo beans, of course. 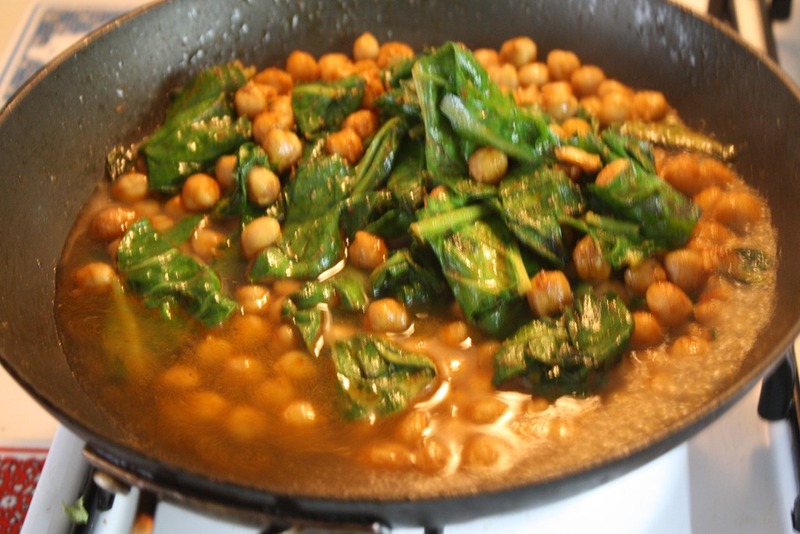 But chickpeas involving some deep flavors and, heck, a little bit of green to give the guise of having done something remotely healthy during a day inside. …should end with a bit more of a bang. 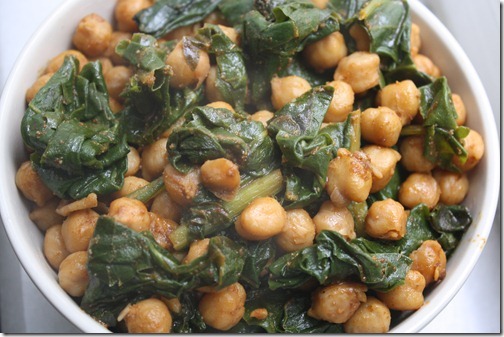 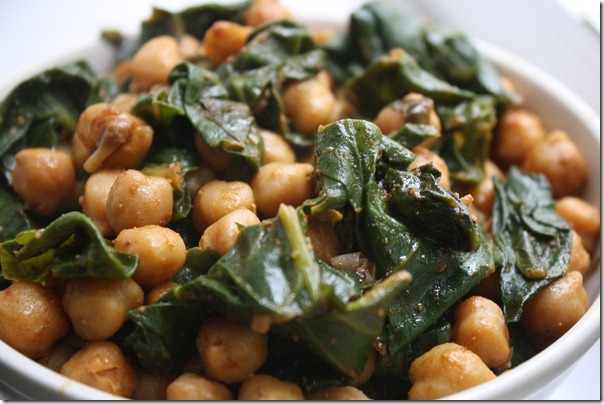 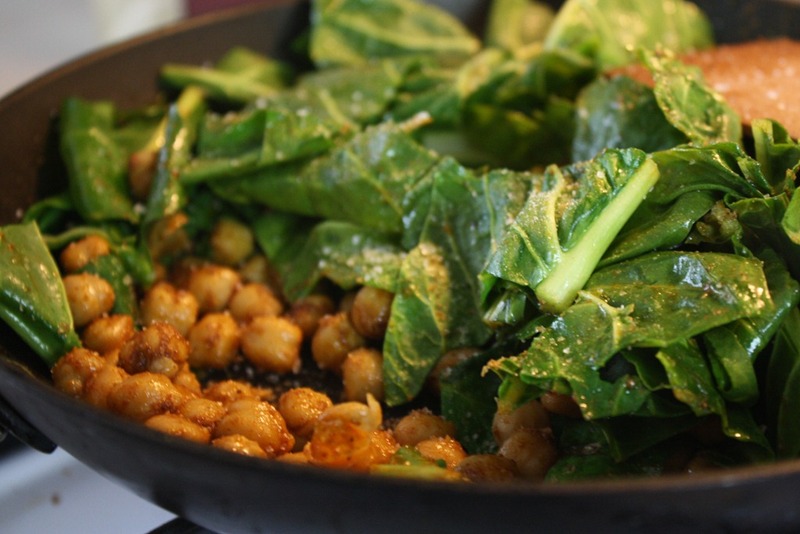 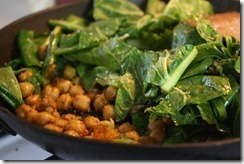 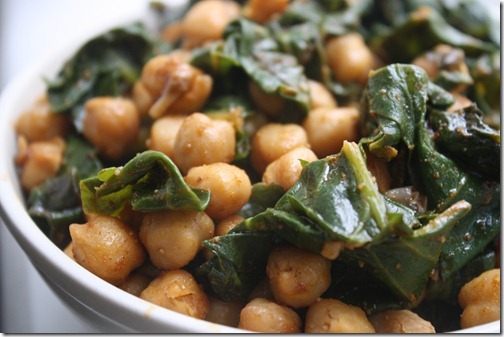 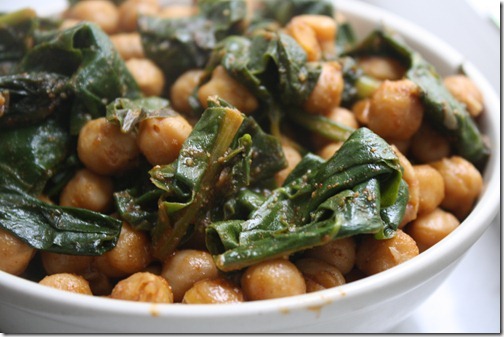 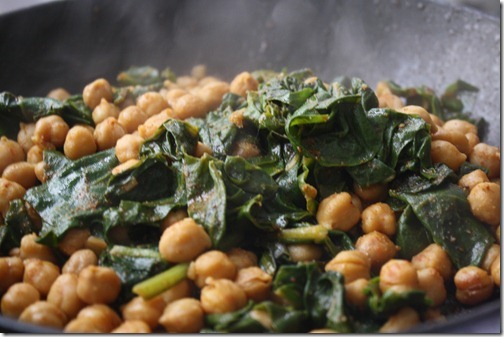 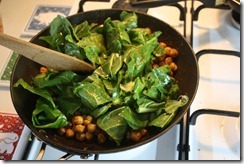 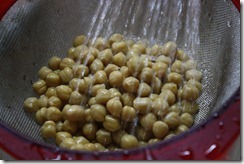 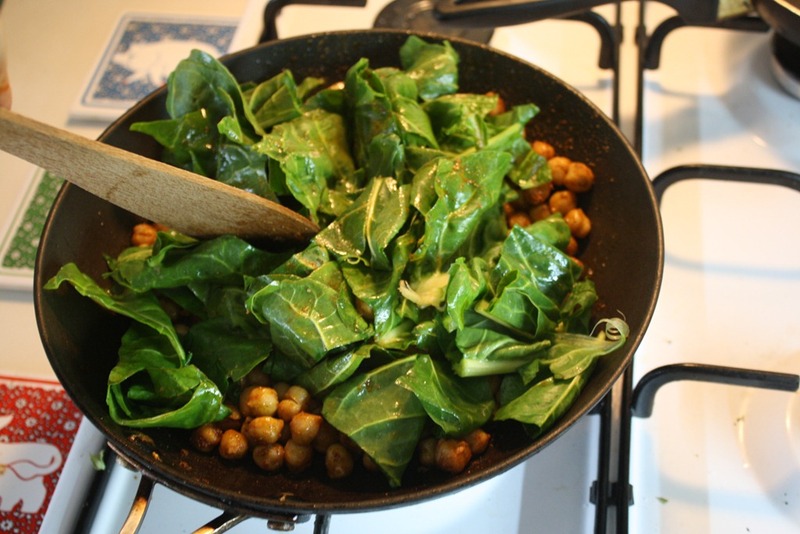 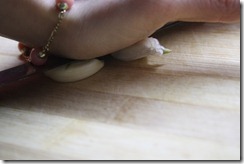 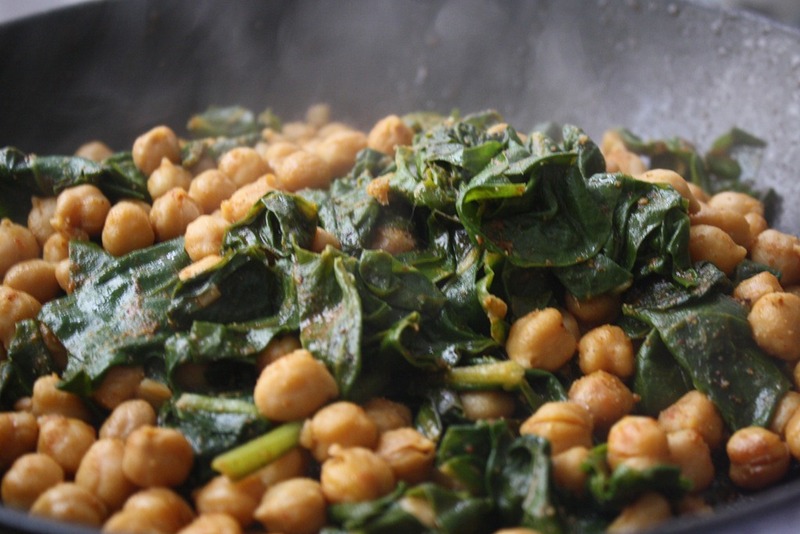 In preparation, wash the greens, chop the garlic and rinse the chickpeas. 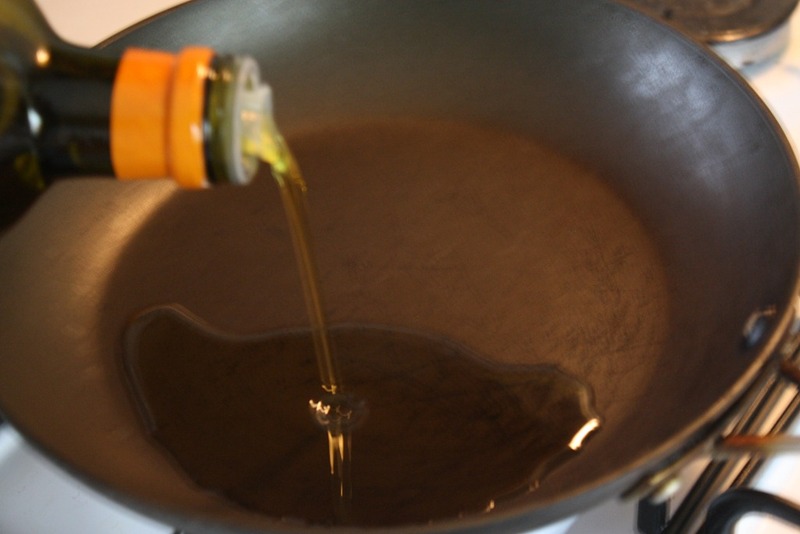 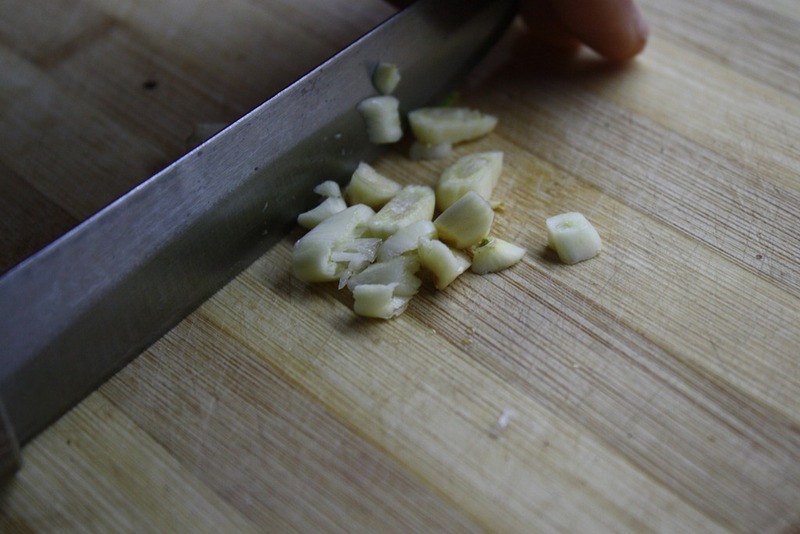 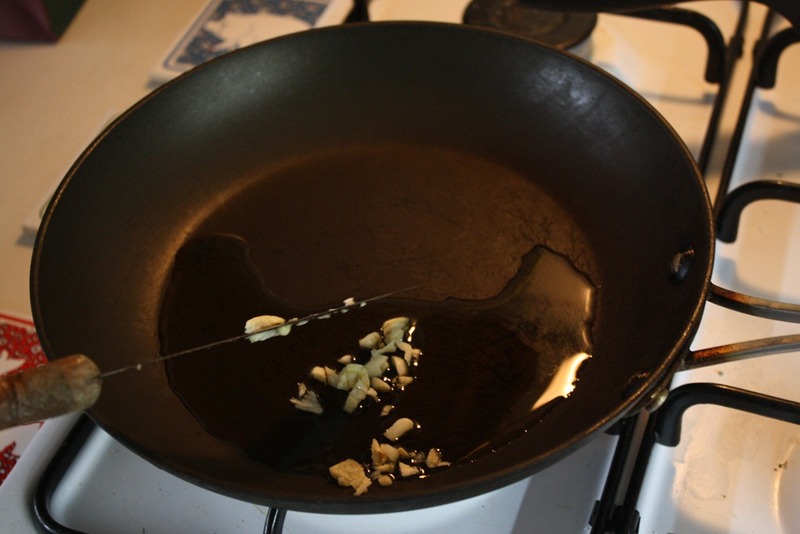 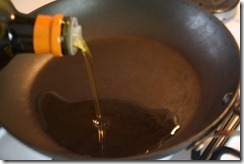 Pour 1 tbsp of olive oil in a sauté pan once the pan reaches medium-high heat. 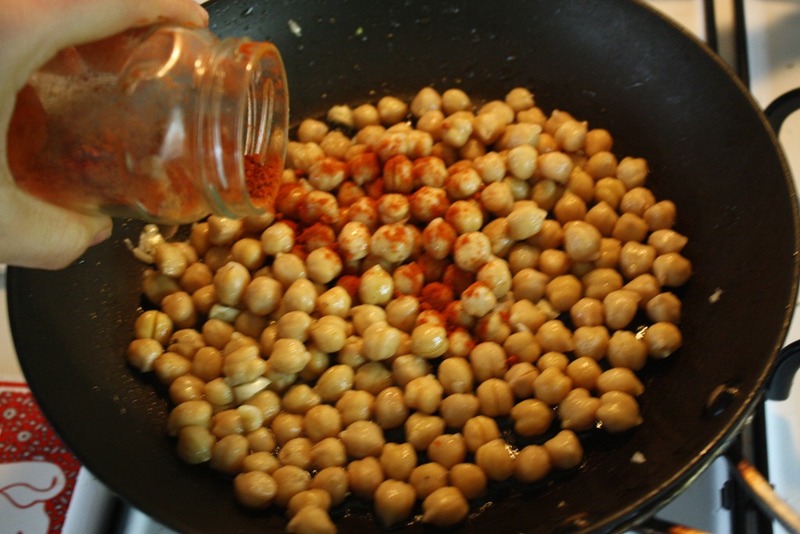 Next add the chopped garlic, followed by the chickpeas, paprika and cumin. 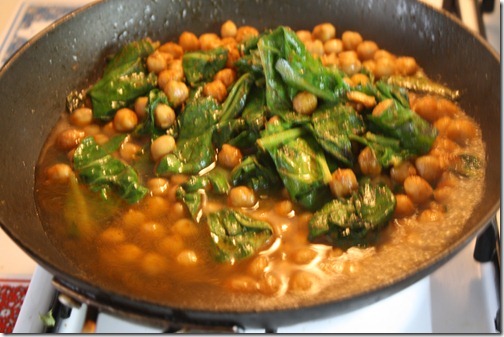 Sautee for a few minutes. 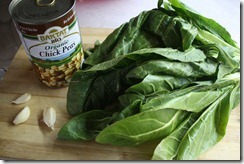 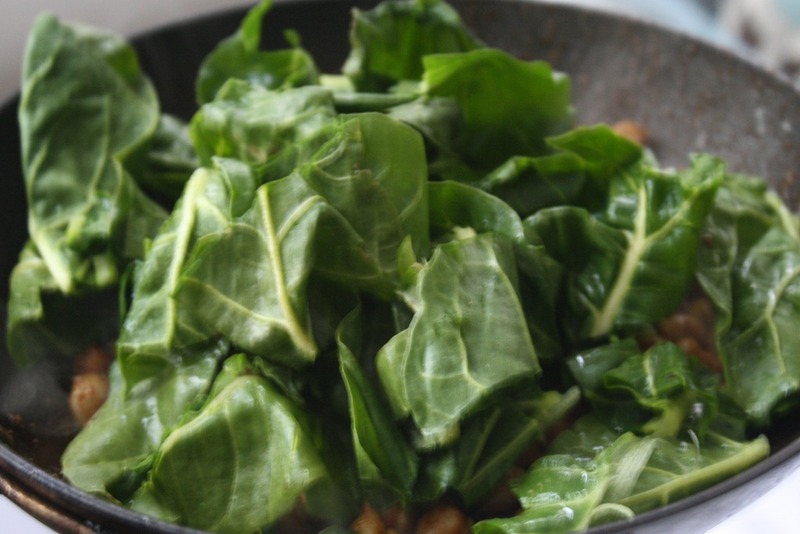 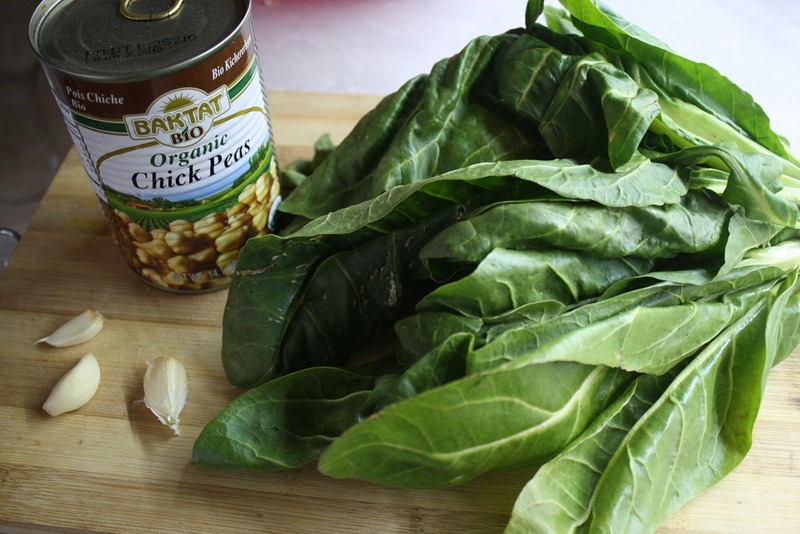 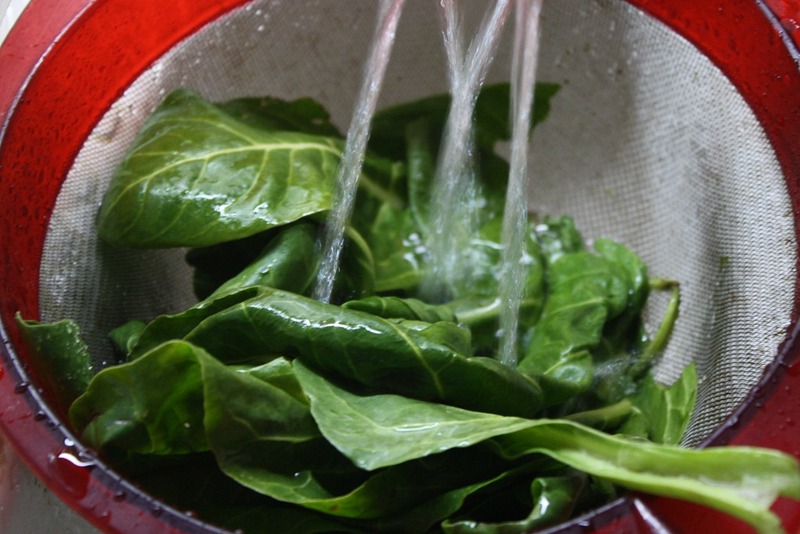 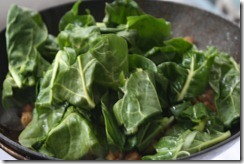 Next, add the collard greens (or whatever dark green you choose—spinach and kale work wonderfully) and salt. 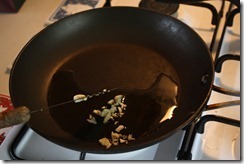 I like to add the salt in this step because it helps break down the greens a bit more. 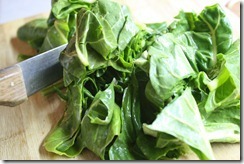 The greens will wilt, reducing in size significantly. 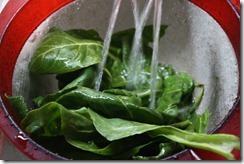 Once it starts to wilt a bit, add 3/4 cup water. 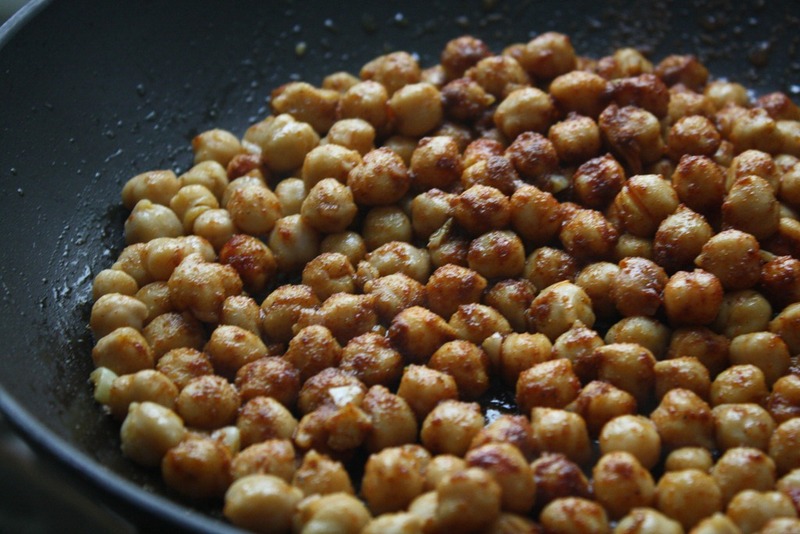 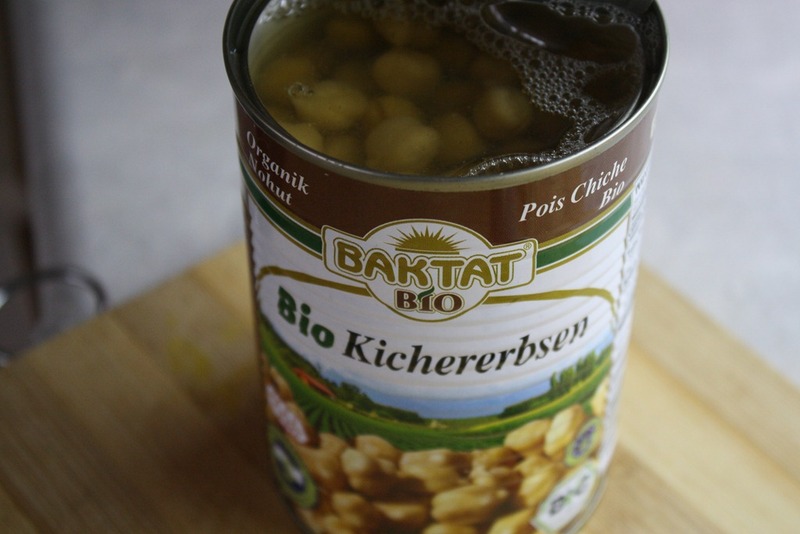 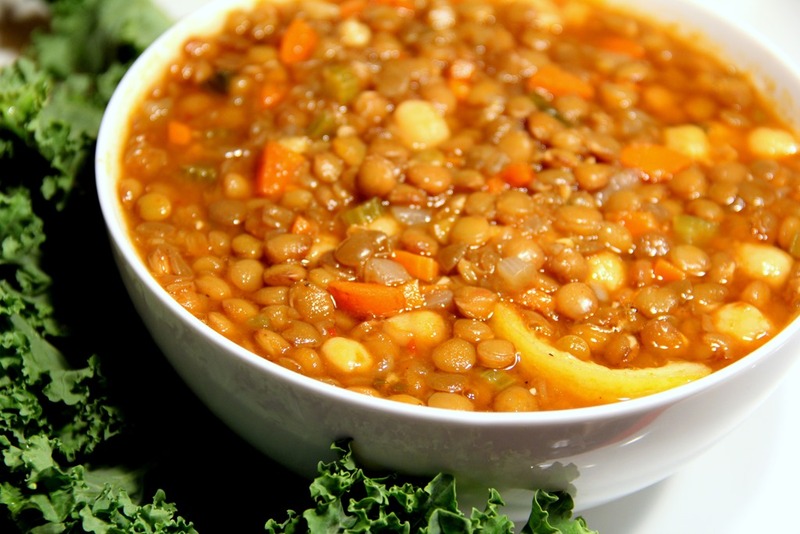 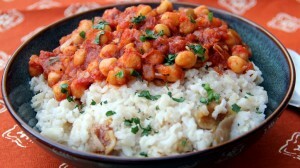 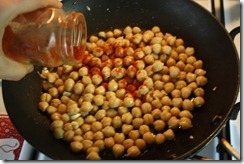 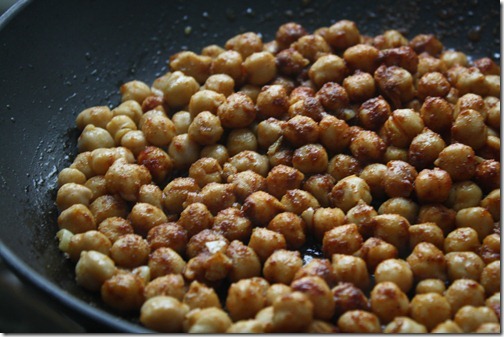 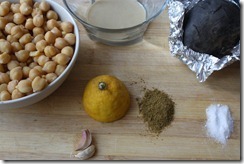 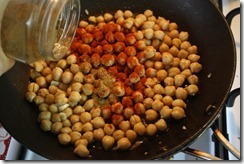 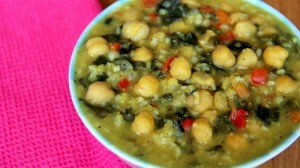 Cover the pan for 5 minutes, as the mixture simmers and the chickpeas absorb more of the flavors and the water reduces. 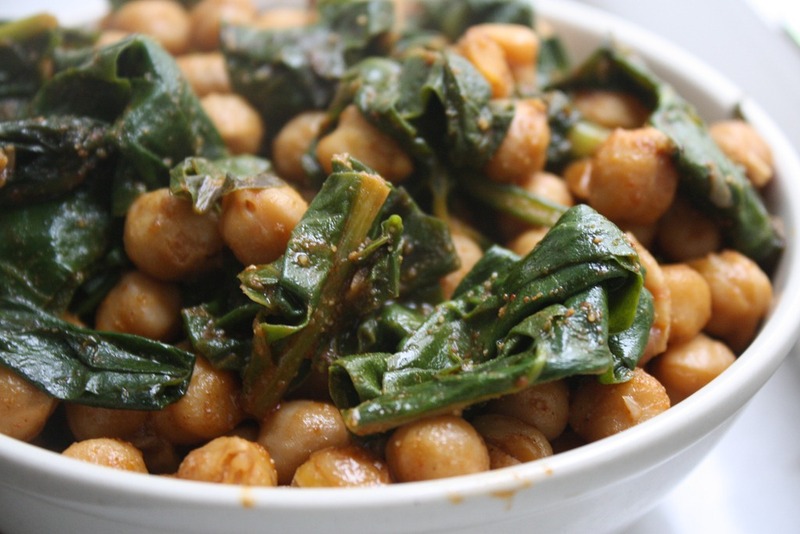 The cumin and paprika make this dish a true treat. 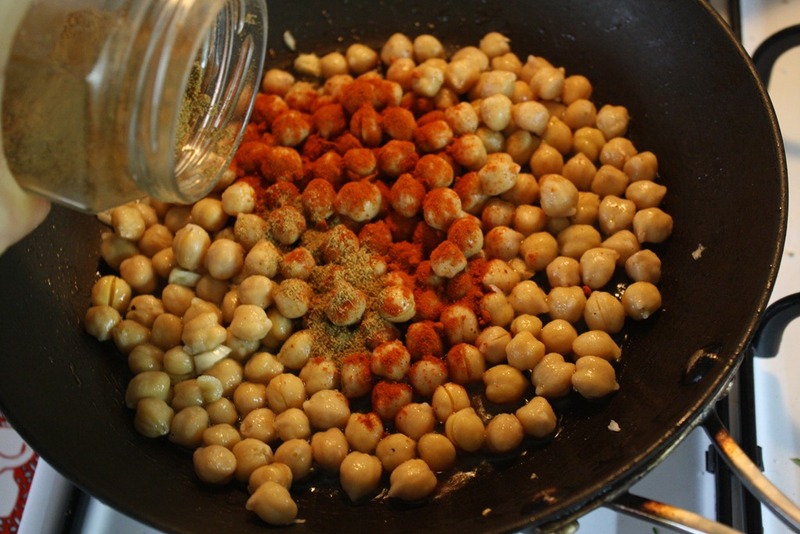 The flavors will only intensify if you eat the dish the next day, as the chickpeas will absorb more and more of the flavor from the herbs and garlic.